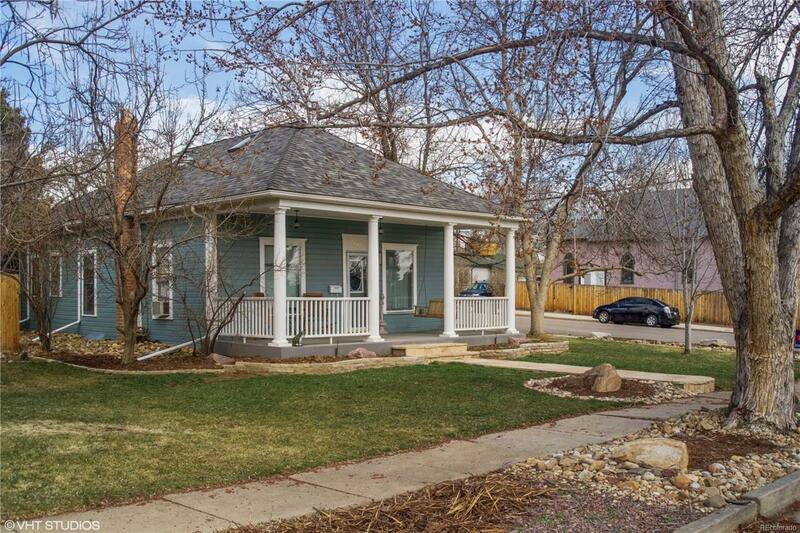 Charming home in Old Town Lafayette that's a stones throw away from shops and restaurants. Updates include exterior paint/roof/flagstone walk & updated landscaping/trex front porch/new kitchen aid appliances/granite tile counters/maple cabinets/recessed lighting/hickory floors & cedar lined closets. The backyard features garden boxes, 2 patio areas including hookup for spa and carriage house/garage. This corner lot is 10% larger than interior lots and is zoned for an accessory dwelling unit at rear of lot! Sold as is. Offered by Equity Realty & Marketing Llc.